That is why, in addition to the newest medical technology, you will encounter extra care, warmth and the human touch. The Prolasys® team takes time for you and is always glad to be there for you. We want to help make your short clinic stay as pleasant as possible. The decor of our single and double-bedded rooms is of the highest quality and offers all the comfort one could desire. The room decor, the beautiful park-like grounds and magnificent view from the large sun terrace of the Elbe river, all make your stay pleasant. 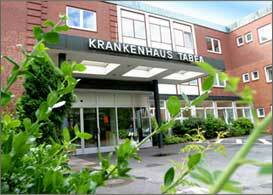 Prolasys® uses the facilities at the renowned TABEA hospital to conduct the Greenlight laser treatment. 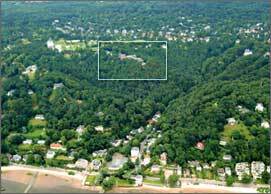 The TABEA hospital is located in western Hamburg, in the green district of Hamburg Blankenese, one of Hamburg's most beautiful and best-known residential areas. Located amid trees on a rise along the banks of the Elbe, it offers visitors an unparalleled view of the Elbe, ships of all sizes sailing by and, across the river the ‚Altes Land', Europe's largest fruit producing region. TABEA hospital features over six specialised fields including a urological surgical division, vascular surgery, orthopaedics and anaesthesia.